I read this article and found it very interesting, thought it might be something for you. The article is called Bali like a local: Melinda Blanchard shares insider tips from her adopted home and is located at https://www.ebookers.com/travel-blog/culture/bali-like-local/. Bali’s seductive charms are undeniable: beautiful beaches, idyllic landscapes, soothing spas, chic restaurants and cool bars. But it can be difficult in one of the world’s most popular destination to feel like you are getting the local experience. So once you’ve crossed some key attractions off your list, here are seven insider tips to ditch the tourist trail and experience Bali like a local. 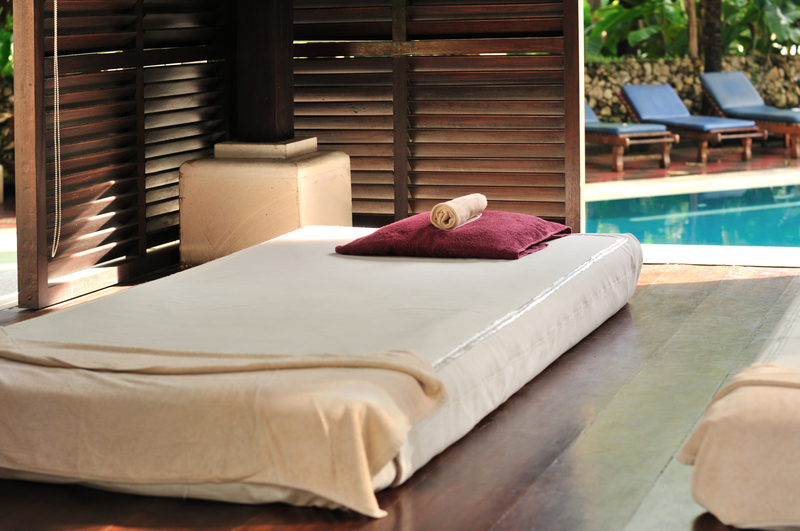 Kuta, Legian and Seminyak are Bali’s hot spots, luring travellers with their party scene. But just 15 minutes away lies Canggu, once a sleepy seaside village and now fast becoming a must visit place not only for the great surf and chilled vibes, but also for its coo, coffee shops, super healthy cafés and beachfront bars. It’s no wonder expats and digital nomads alike have chosen to settle down in Bali’s coolest neighbourhoods. Bali doesn’t have much of a public transport system in place, which means you will either need a driver or taxi (make sure it’s a Bluebird) to get around. But there’s no better, more convenient and fun way to see Bali than cruising around the island on a scooter. Outside of the busy centres, the roads are mostly quiet and the scenery breathtaking. Drive carefully and always wear a helmet. If you feel uneasy about driving a scooter yourself, then download the Go-Jek or Grab Taxi app to get on demand (Uber style) pickups and drop-offs on motorbike taxis. It’s convenient and inexpensive. 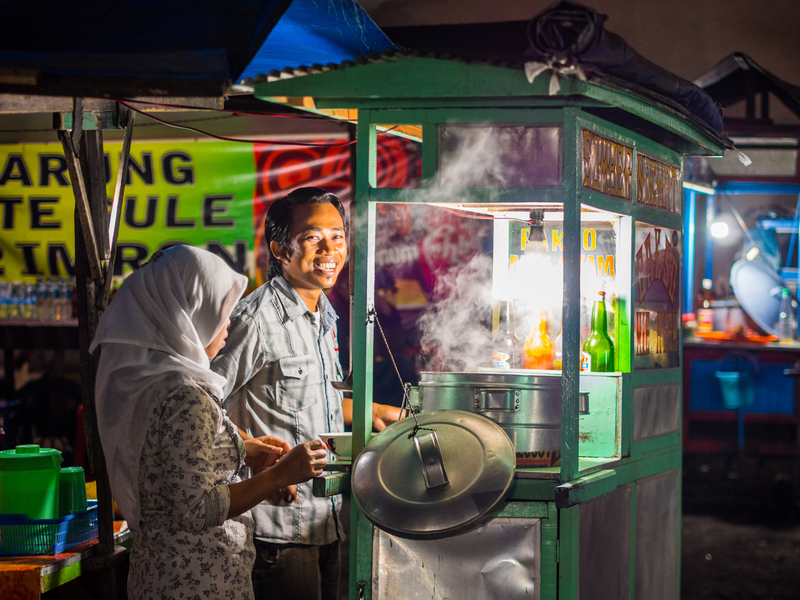 Eating like a local means hitting the warungs – street stalls. They’re not only cheap but also offer some of the most delicious and authentic food, using chillies and exotic spice pastes. All time favourites include nasi goreng (fried rice with vegetables), nasi campur (rice with a mix of meat, seafood, vegetables) or sate ayam (barbecued chicken skewers with peanut sauce). And don’t forget to try Bali’s iconic dish, babi guling or roasted suckling pig. 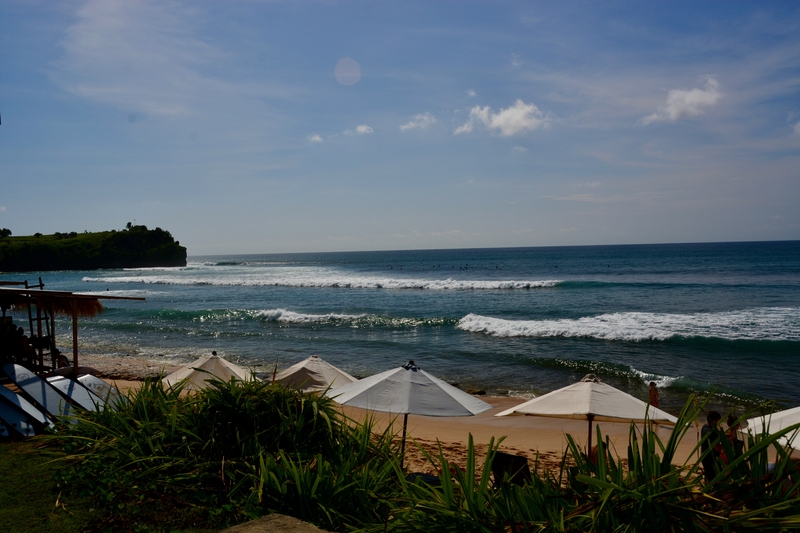 The island of Nusa Penida is Bali’s best kept secret. It’s just a 30 minute boat ride from Sanur and you’ll be rewarded with the turquoise waters of Atuh Beach, world-class diving and snorkelling at Crystal Bay (if you’re lucky you might even get to swim with manta rays), the stunning landscapes of Kelingking beach and the natural infinity pool of Angel’s Billabong. Perhaps the most impressive of all the Balinese ceremonies is the one that happens the night before Nyepi (Day of Silence and the New Year according to the Balinese calendar) when giant paper maché demons called Ogoh Ogoh are paraded through the streets, then burned to keep evil spirits away for the year ahead. They even have competitions in Denpasar the week before to judge the best Ogoh Ogoh creation. It’s a sight you don’t want to miss! Indonesian women swear by a cream bath for shiny, healthy hair. First a moisturising cream is applied to your hair and scalp, followed by a blissful head, neck and shoulders massage. After a blow dry, you can step out of the salon feeling utterly relaxed and with sweet smelling, soft, bouncy locks. 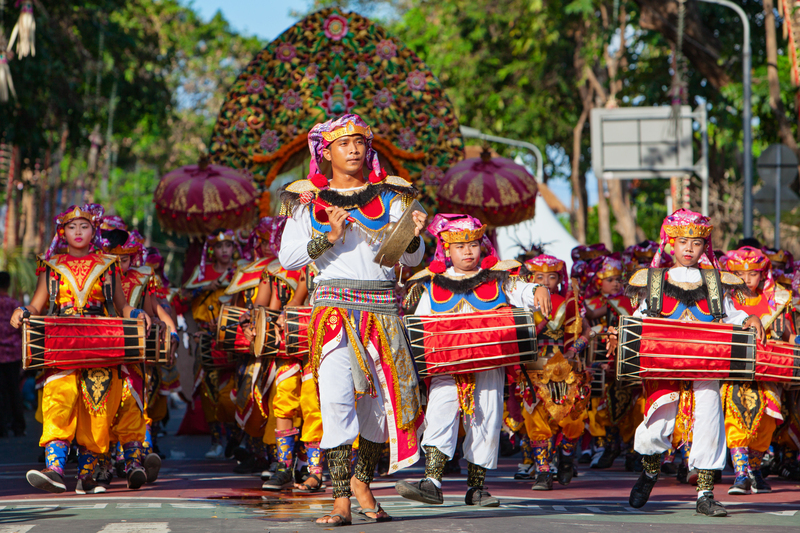 Get an insight into local Balinese life, as well as grabbing yourself a bargain! 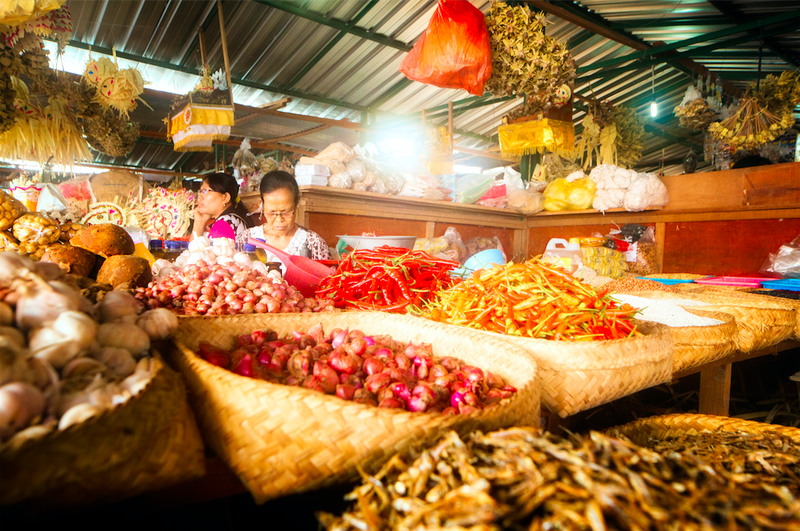 Badung market in Denpasar is the largest and oldest market selling fresh fruits, meats, spices and groceries. Right next to it you’ll find Kumbasari market filled with sarongs, batiks, wooden carvings, paintings and jewellery.